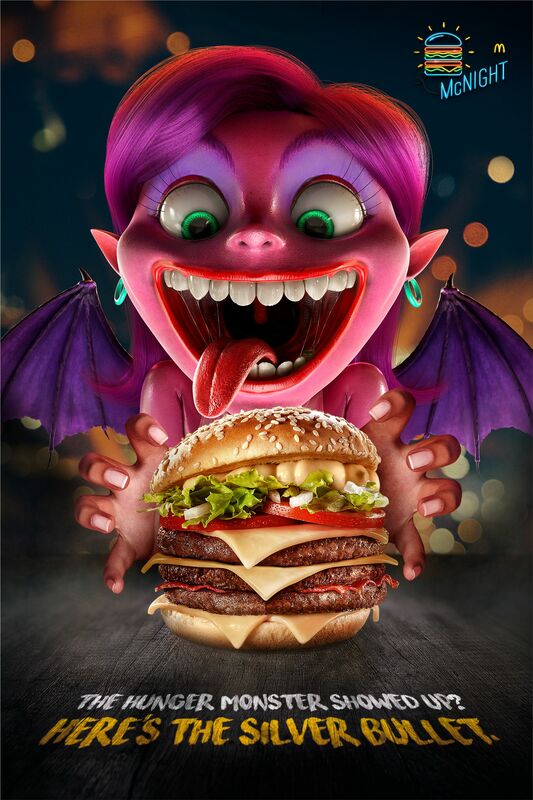 A monster that is always creeping in at night, when all restaurants are closed and nothing can help it but some delicious McDonald's meal. That is the Hunger Monster. 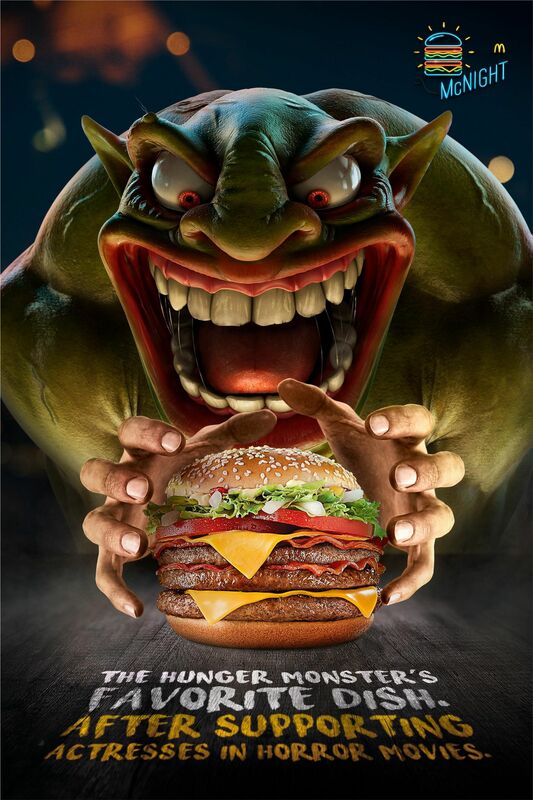 And to help people fight it, McDonald's started McNight in Brazil, a special deal only valid during the night time. The Hunger Monster's favorite dish. After supporting actresses in horror movies. The Hunger Monster showed up? Here's the silver bullet. Older:Selva Foods: "Packs a punch to your dish!"